Now forty years old, the Endangered Species Act (ESA) remains a landmark act in conservation and one of the world’s most comprehensive laws designed to prevent species extinctions and support recovery efforts for imperiled species. A controversial law and often subject to political attack, the ESA is successful overall but not without difficulties. Those who enforce the ESA, for example, struggle to achieve viable recovery goals for many species. At the forefront of challenges is a reactive framework that sometimes leads to perverse incentives and legal battles that strain support and resources. Further, few species have been delisted. 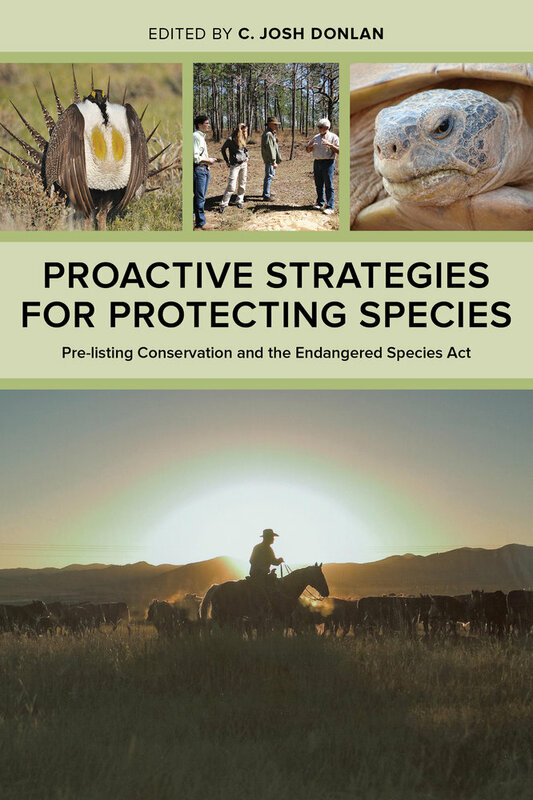 Proactive Strategies for Protecting Species explores the perspectives, opportunities, and challenges around designing and implementing pre-listing programs and approaches to species conservation. 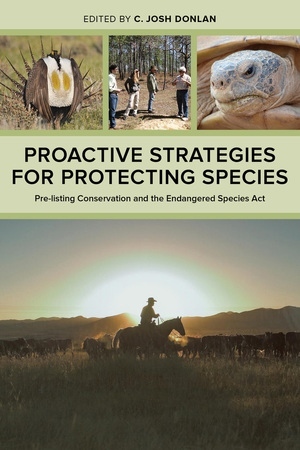 This volume brings together conservation biologists, economists, private and government stakeholders, and others to create a legal, scientific, sociological, financial, and technological foundation for designing solutions that incentivize conservation action for hundreds of at-risk species—prior to their potential listing under the ESA. C. Josh Donlan is director and founder of Advanced Conservation Strategies, an organization that makes livelihoods and environments better through science, human-centered design, and innovation. He is a recipient of Fulbright and Guggenheim fellowships and has published over eighty scientific and public articles in venues such as Nature, Conservation Biology, and PNAS.